Dr. Sascha Haghani joined Roland Berger in 1995 and became a Partner in 2000. In 2009, he founded the firm’s Corporate Finance Competence Center. He has been a member of the German Management Board since 2013 and is Global Head of Competence Center RPT / Restructuring, Performance, Transformation & Transaction. He has more than 25 years of experience in top-level management consulting. 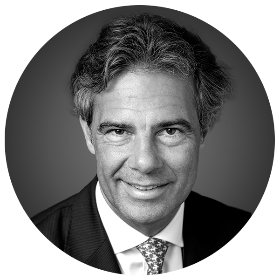 He is a Managing Partner in Germany and was a Member of Roland Berger’s Global Executive Committee (GEC).Sascha studied economics in Germany, business administration in Switzerland and holds a PhD in economics. Sascha started his career in the automotive supplier industry before switching to consulting in 1992. He also worked in the investment banking department of a major German bank’s New York offices. Sascha has authored several books on restructuring and corporate finance. "The ability to understand and respond to a client’s needs is a key determinant of success. " Walk the walk – but talk the talk too! New insolvency regime in Germany?